Gender powerfully shapes the health, safety and wellbeing of our community. Gender equity approaches recognise that we do not function on a level playing field. Historical and social disadvantages prevent women from benefiting fully from society’s resources. Gender equity approaches seek to ensure fairness and justice when distributing benefits and responsibilities between women and men. Are you looking for resources on this topic? Have a look at our Gender, Equity, Health and Wellbeing Resources page. We provide training and resources to support regional partner organisations to incorporate gender equity and gender equality principles into policy, planning and service delivery. This involves providing gendered data, resources and professional development to encourage partner organisations to include women’s health issues in, and apply a gender lens to, their work. Each year, WHIN delivers gender equity sessions to nearly 500 people from up to 15 different organisations. The Gender Equity Training Manual that WHIN developed on behalf of all of the women’s health services in 2015 has proven to be a vital resource for this work. A recent highlight was delivering a short gender equity presentation to over 300 staff of Merri Health at a whole of staff meeting, one of our largest presentations to date. WHIN incorporates a specific focus on the impact of gender in the early years, work that would not have been possible without the support and partnership of Darebin City Council. Darebin Council has engaged WHIN to provide input and expertise into the development of a gender equity resource to be used by the early years sector. 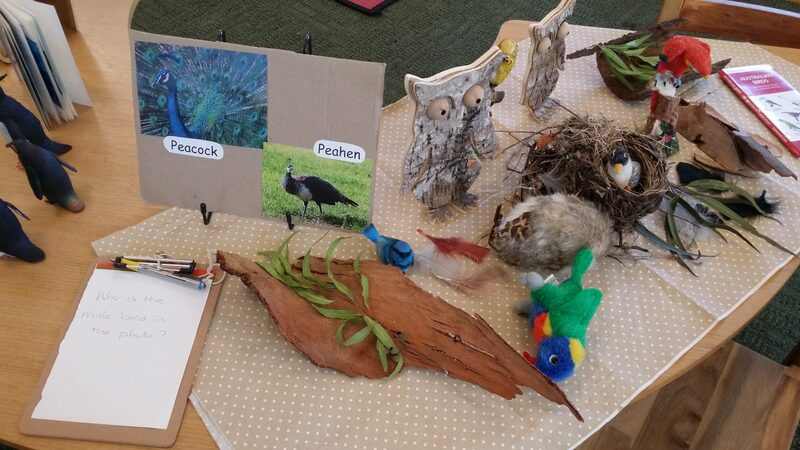 WHIN also delivers a suite of workshops for early years educators and staff, and participates in Darebin Council’s Gender Equity Intentional Play Space. These sessions and the play space are designed to highlight the gendered nature of children’s lives, and how we can all work to undo some of the constraints and limitations that gender stereotypes place on children. In preparation for the next round of Municipal Public Health and Wellbeing Plans and Integrated Health Promotion Plans for the years 2017–2021, WHIN works with our local government and community health partners on the importance of applying a gender lens to their health planning. We aim to ensure health and wellbeing plans across the NMR are gender sensitive and if possible gender transformative with particular focus on the effects of gender for women’s health, safety and wellbeing. WHIN delivers a series of well-attended workshops for partner organisations on issues including: ‘Gender Lens for Health Planning’ and ‘Sexual and Reproductive Health Planning’. WHIN staff have completed the training required for the ‘Women with Disabilities Victoria Gender and Workforce Development Program’, and WHIN is now qualified to co-facilitate these sessions as required. WHIN is also pleased to partner with WDV and three councils in the north — Yarra, Moreland and Darebin — to bring the ‘Enabling Women’ program to the region. The program is an opportunity for women with disabilities who live, work or play in the above council areas to build upon their natural leadership skills and confidence, expand their community networks and contribute to their community meaningfully.